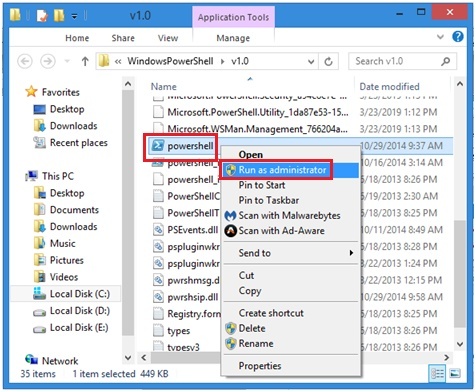 There are multiple ways can be used to launch PowerShell in Windows Operation System, and I will show you in this article. Just a quick recap, PowerShell is task-based command-line shell and scripting language built on .NET. You can use it to manage operating systems (Linux, macOS, and Windows) and processes via automated tasks. It is kind of similar to Windows command prompt but much powerful with its scripting capability. 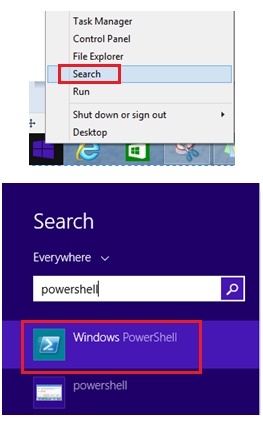 1) Right click Start and click on Search, then proceed to type powershell and click on Windows PowerShell to launch it. 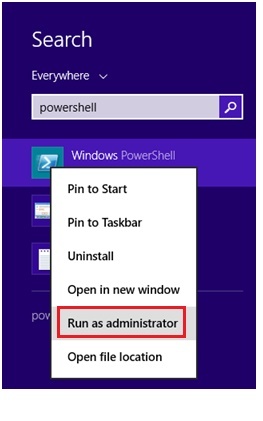 2) If you want to run the PowerShell with administrator privilege, right click on the Windows PowerShell and click on Run as Administrator as shown below. Note: As good cyber security practice, only run the PowerShell with administrator privilege if you need to perform activity that requires admin privilege, else just run as normal user. 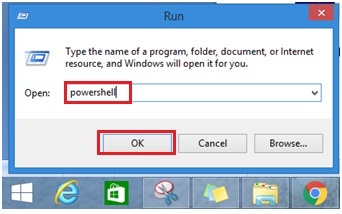 1) Right click Start and click on Run, after that type in powershell and click OK.
1) Typically PowerShell executable you can locate it by browsing to C:\Windows\System32 or SysWOW64\WindowsPowerShell\v1.0\, after which you will be able to locate the powershell executable as shown below. Just go ahead to double-click on the powershell to launch it. Note: You can also right click on powershell executable and click on Run as administrator to run it with admin privilege. 1) If you have command prompt opened, you can just type in start powershell as shown below and hit Enter to launch PowerShell. 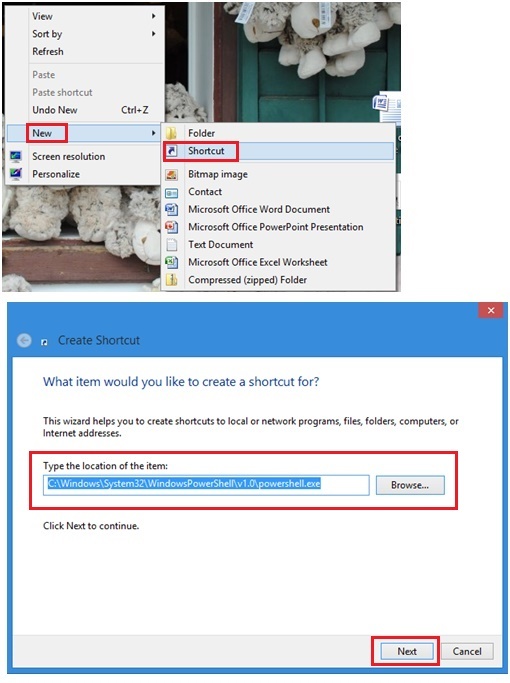 1) You can also create PowerShell shortcut on Desktop to launch it anytime you want! Just right click mouse on Desktop and go to New and then click on Shortcut. Go ahead to locate the PowerShell executable file as mentioned earlier and click Next to complete the setup. Quick tip! If you replace powershell with powershell ise in above examples you will then bring up the PowerShell Integrated Scripting Environment (ISE) for you to run PowerShell cmdlet. Return to top of "Multiple Ways to Launch PowerShell"! !